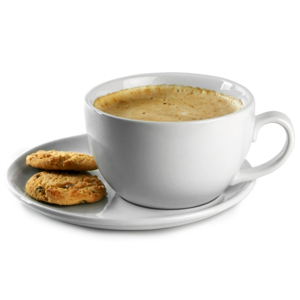 For your daily dose of caffeine, the Royal Genware Bowl Shaped Cups & Offset Saucers are an essential item for use at home or for commercial use in cafés, hotels and restaurants. With a high quality porcelain construction, these cups and saucers have great durability and a scratch resistant glaze. "Very pleased with this purchase. The quality of the product is even better than we had hoped for and the design of the cup and offset saucer is absolutely perfect." "Great for cappuccino and plenty room for biscuits (or cake)."